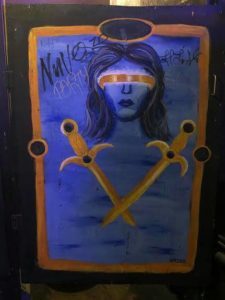 Red River Secrets Part 1: Is Elysium Haunted? As I brought my first load of gear through the small door of Elysium (705 Red River, Austin 78701) on the afternoon of Wednesday August 22, a chill went up my spine even though the temperature gauge read 104 degrees Fahrenheit. The more gear I brought in, the more I felt like I was going back in time. 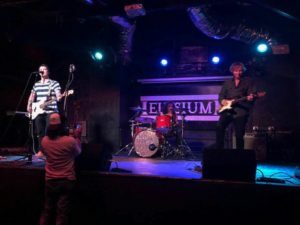 I had felt the same in June when I played Elysium with my rock band Line of Fire during a showcase for the Final Five Agency of Dallas, the same fine folks who sponsored the gig on August 22. 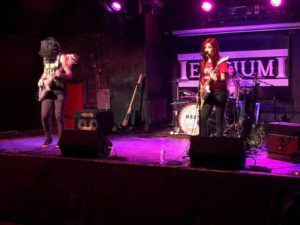 True, I had seen some fantastic shows at the classic Goth venue over the years, such as Sean Lennon and Yoko Ono during a Chimera Records showcase and Genesis P-Orridge of Throbbing Gristle and Psychic TV fame. Was it just memories pushed into the recesses of my mind which brought this feeling of living in another time with ghosts every time I walk through the door of Elysium or was this dusty atmospheric combo of old wood and tin and metal and posh furniture and pool tables haunted? He continued insisting there was an eerie feeling in the abandoned rooms above Elysium. He said he was creeped out several times by the echo of wood falling on metal or metal on wood from corners of the second floor opposite where the workers and manager were inspecting. Maybe these falling objects were only mice and rats ravaging the forgotten space. 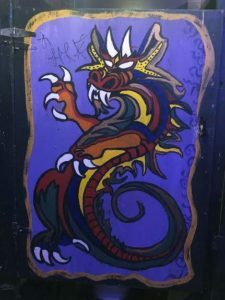 However, the narrator insisted that bartenders had related instances of strange voices seemingly coming from the second floor late at night after bar close as they were counting the till and taking out trash. Through the years, I never forgot that story. 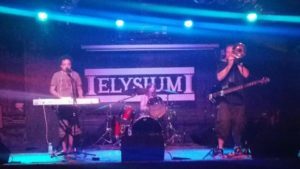 Whenever I went to (or played) a show at Elysium or Beerland, I would ponder the haunting history of that old building. I love the ambiance of the Red River Cultural District, the grittiness and visceral excitement of creating within the cesspool which has existed beside Waller Creek for centuries. When the history of the Red River Cultural District was first painted on the side of the building at the northeast corner of 7th and Red River (see sidebar for text), I would stand across the street trying to read the whole thing at once as my bandmates would complain about lack of proper unloading spots and traffic situations detrimental to huge bass cabinets. Over the next few months, we will be examining the historical significance of what was declared officially by the Austin City Council on October 17, 2013, as the Red River Cultural District. 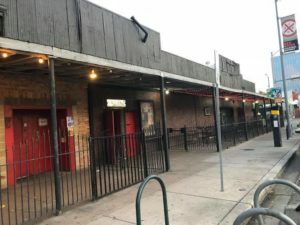 We will be discussing the musical significance of the venues on Red River Street with business owners, longtime employees, patrons and musicians, in an attempt to re-claim the area from its recent decline due to rampant spill-over homelessness from the less-than-successful ARCH center nearby. 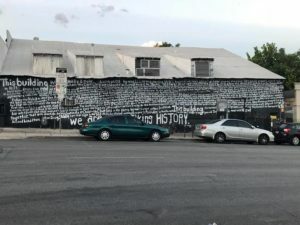 Painted on side of Elysium: “This building was originally a mule barn used by the US army during WW1, housed various second hand stores and then live music venues since the mid-1980s when the Cave Club introduced industrial music to Texas. Red River Street was the eastern edge of Austin when the street plan was laid out by Edwin Waller in 1839. From the 1940s ‘til the ‘80’s, the strip was dominated by used furniture stores and junk shops with names like J.B. Branton, Williams Do-Rite Swap Shop, Fairyland Antiques, Dutch Meyers Trading Post, Red River Rats, and Harris Hunting Grounds. During the era of segregation, black-owned businesses were next door to white-owned ones on Red River from 6th to 15th streets. “Also torn down was where Sam Lung opened Austin’s first Chinese restaurant in 1946. Lung’s Chinese Kitchen gave birth to Austin’s ethnic/ exotic food scene. Before the Vulcan and the Armadillo opened, Red River became the spawning grounds of psychedelic rock in 1966, when the 13th Floor Elevators debuted their first single “You’re Gonna Miss Me” at the New Orleans Club. Janis Joplin sang just steps away at the 11th Door that same year. Those clubs were where Symphony Square is today. 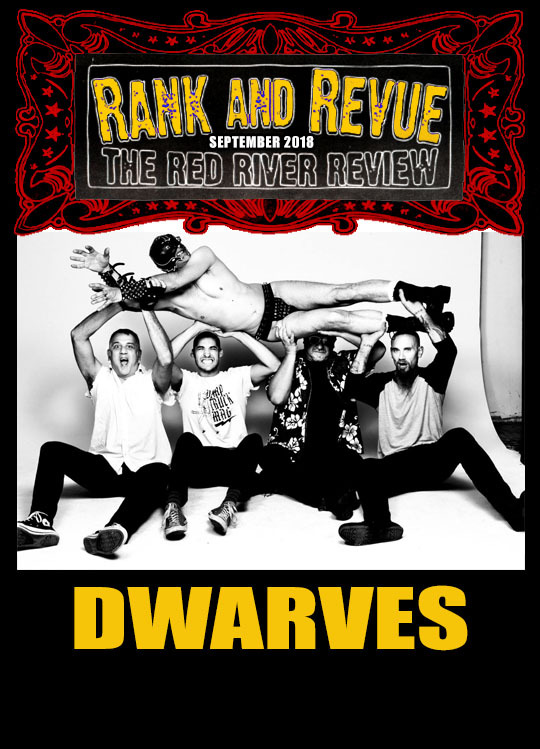 Red River began to be known as Austin’s live music district in the 1990’s with Emo’s and 801 Red River leading the way for Beerland, the Mohawk, Club Deville and others.